Oh hai there, it’s me again, still posting this holiday nonsense. But these are my first sweater patterned nails and I’m quite proud of them, so I’m gonna show ’em off anyways. Better late than never, right? After spending multiple winter seasons ogling people’s incredible sweater-patterned manis, I finally bit the bullet and bought a Christmas-specific stamping plate so I could join in the fun. I spent an embarrassingly long. Time staring at different plates and trying to compare them. Did I need the MoYou London plate with a ton of different designs (penguin sweater pattern, how I wish you were mine)? 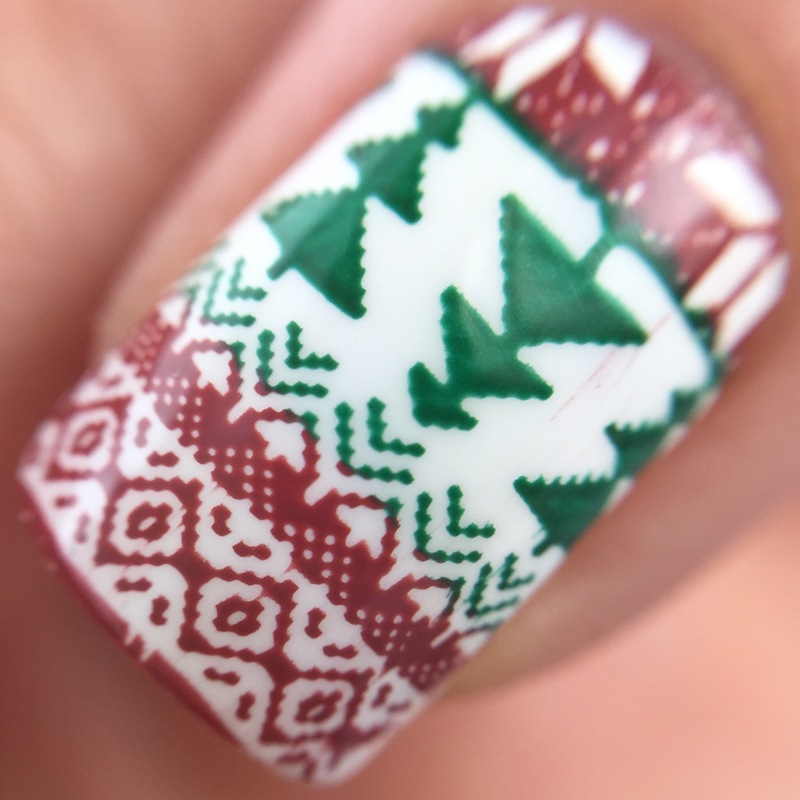 Or would I get more use out of a bigger plate with a greater variety of holiday designs but fewer sweaters options? In the end, I went with Uber Chic’s Christmas-01 plate because it seemed like more bang for my buck. I used it for tons of manis this holiday season, so I regret nothing (although generally in life I make it a goal to regret as little as possible). It took me a few quick practice swipes to get the colors to line up properly -maybe only 20 or 30- but eventually I got things close enough to actually put them on my nails. I am super excited to keep trying to mess around with lining up colors on the plate to spice up my stamping. What do you think? Have I joined the trend too late? 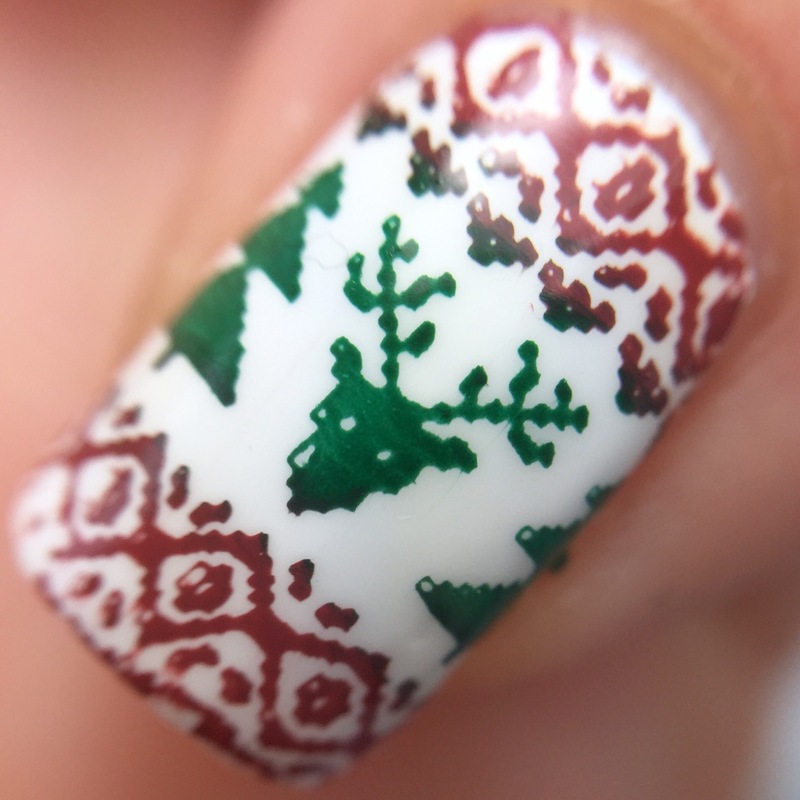 Have you seen so many sweater nails that my 8-bit reindeer is making you go batty? 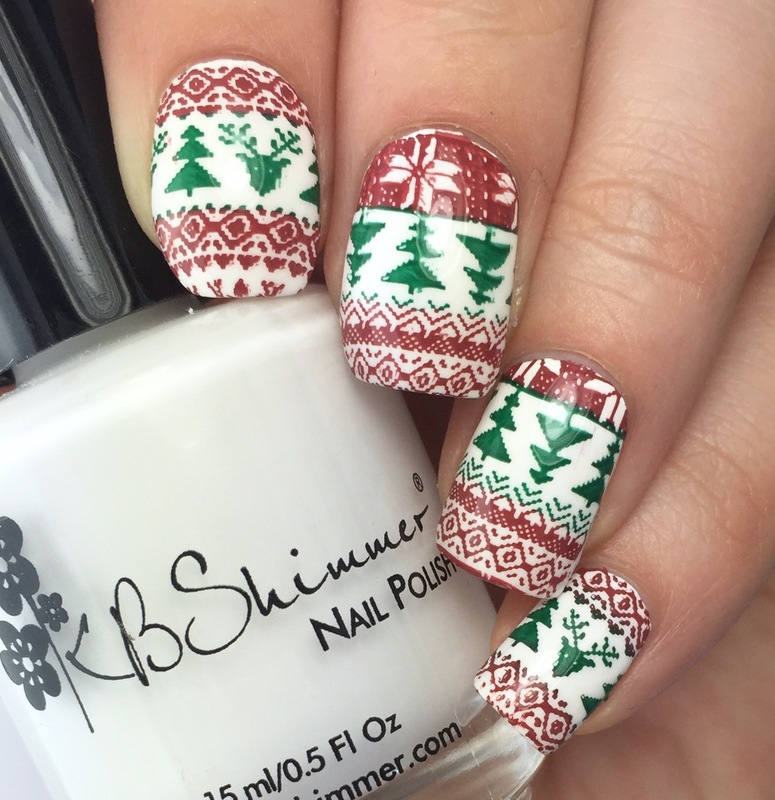 What do you think is the best sweater stamping plate? When you buy plates, do you tend to go with variety of designs, or another factor? I want to knit a sweater that looks like this! I want to learn how to knit! I love how you were able to get both colors in there, really makes it look like a sweater. Fantastic job on these! 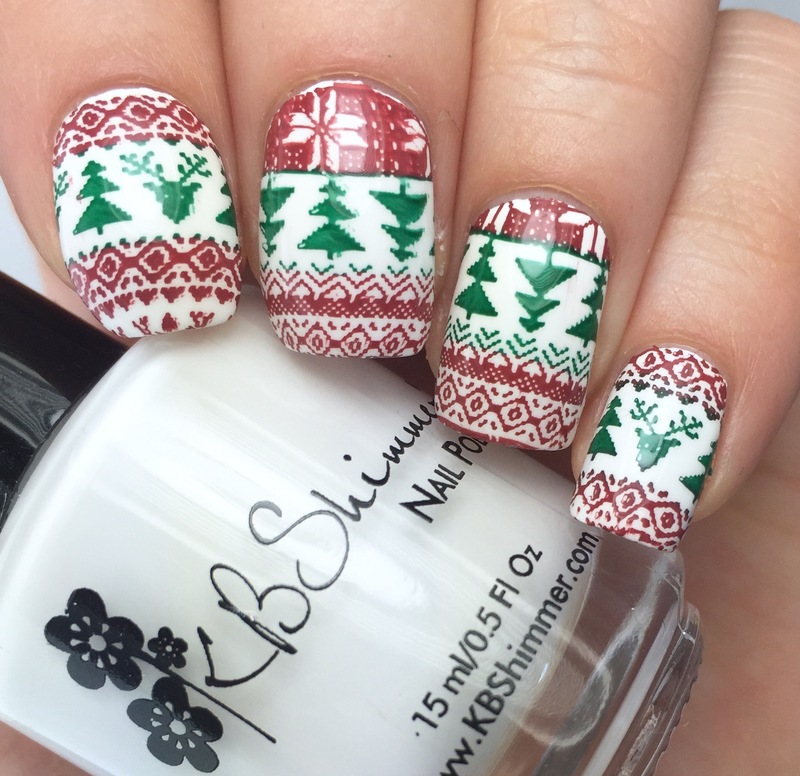 This is the best sweater mani I’ve seen this year!! Awww thanks! That’s high praise! 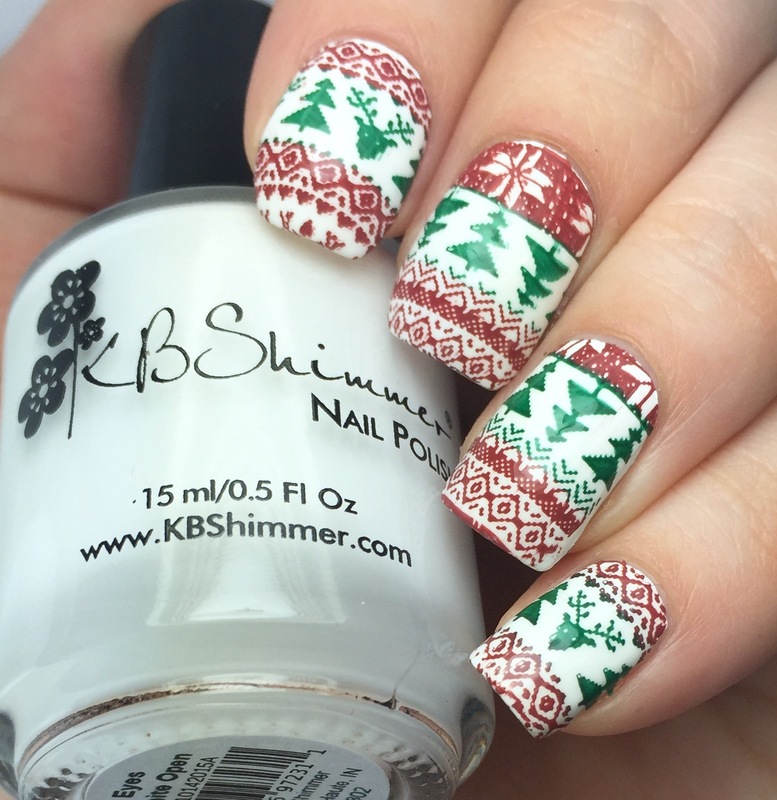 It’s still winter so sweater nails are perfect! Nice job. 🙂 haha I wear sweaters until May. I’m a perpetually freezing person.